Solgar® Vitamin B6 50 mg Tablets contains one of the 8 B Vitamins. 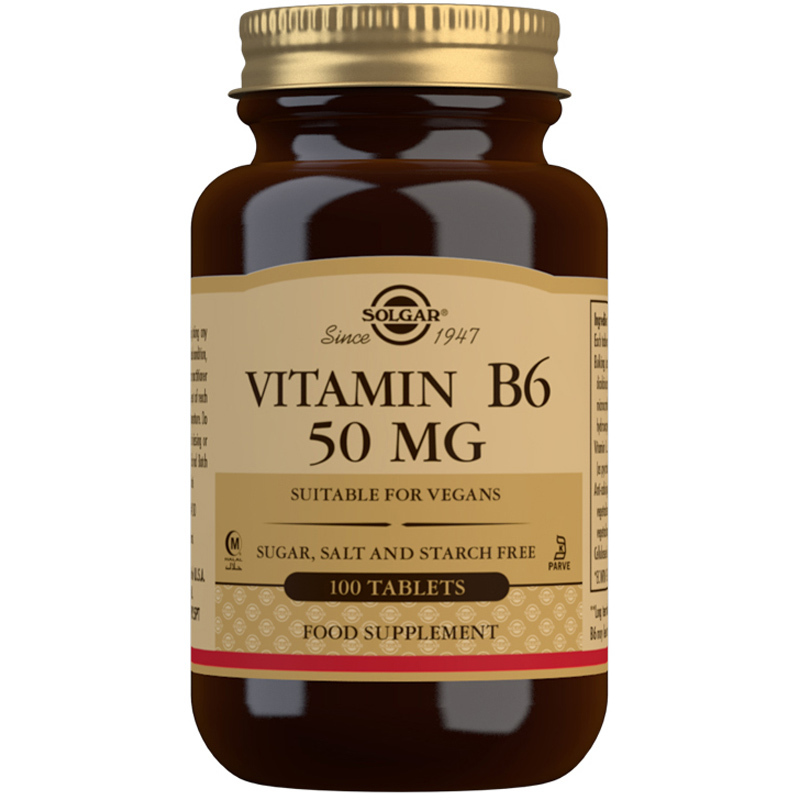 Most people will be able to reach the recommended levels of Vitamin B6 through their diet, as this essential vitamin can be found in a wide variety of foods such as poultry, fish, seeds, beans and wholegrains. 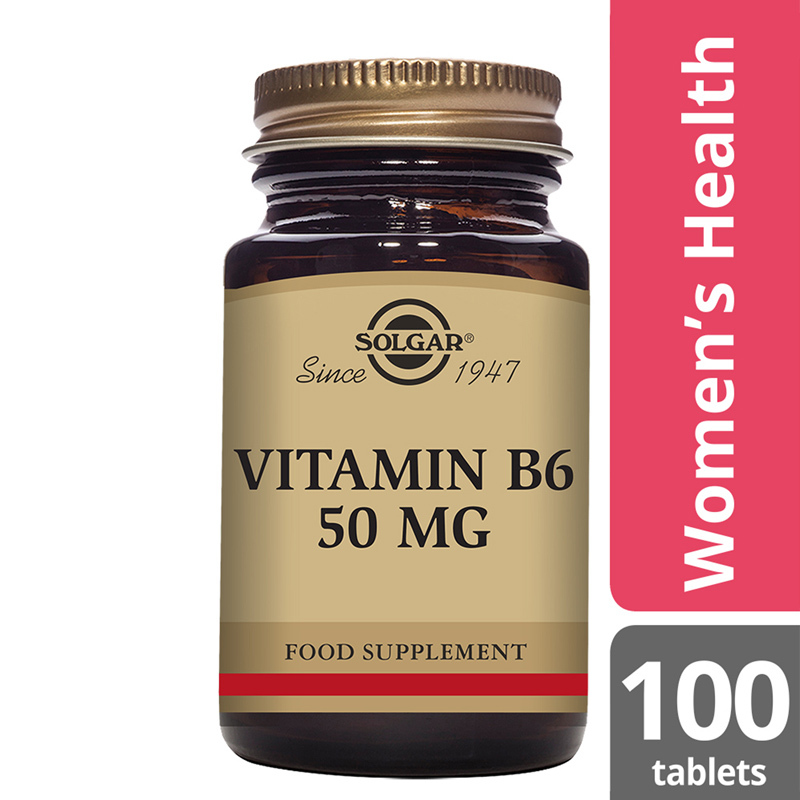 If, however you feel like your intake of Vitamin B6 is insufficient, Solgar® Vitamin B6 50 mg Tablets contributes, with 1 tablet a day. Ingredients: Bulking Agents: (dicalcium phosphate, microcrystalline cellulose, hydroxypropyl methylcellulose), Vitamin B6 (as pyridoxine HCI), Anti-caking Agents: (vegetable stearic acid, vegetable magnesium stearate), Cellulose Gum. Bulking Agents: (dicalcium phosphate, microcrystalline cellulose, hydroxypropyl methylcellulose), Vitamin B6 (as pyridoxine HCI), Anti-caking Agents: (vegetable stearic acid, vegetable magnesium stearate), Cellulose Gum.